London Symposium a Dramatic Success! IAFP Members should contact us at 1-888-298-3292 if they missed the Symposium and would like to purchase access to presentation materials. On Friday, all delegates completed ballot forms asking them to make 15 difficult choices on options presented by the case study. Most of the delegates also attended the Saturday morning round-table sessions where they discussed ballot results, and pursued a range of issues in more depth with their peers. They generally agreed that a lesson to be learned from the case study was how difficult it is to make financial choices in isolation, i.e., for a single client and without considering key choices made in other areas of an estate or by other stakeholders. Ballot results reflected the complexity of calculating how one aspect of endowments affects another, and the need to avoid breach of trust by ensuring that the mathematics in each area works for all concerned. A post-Symposium analysis of the ballot results led to the questioning of widely-held economic assumptions about distribution of wealth. For more detail, IAFP Members can read the full summary and case study conclusions on the Members Site. Saturday participants also heard from R.F.P. Al Feth on the subtleties of Endowments. They then discussed a wholistic approach to endowments and estate planning which considers all of the many aspects of wealth as well as the intersection of individual, family and community interests. The Gala dinner at the London Museum was also a highlight for many delegates and guests. 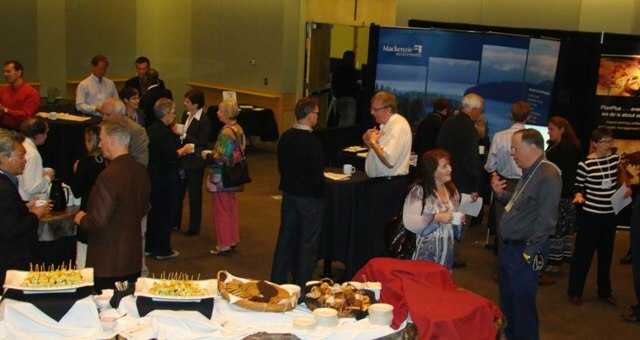 Get ready for Symposium 2010, September 23 to 25 at the Rimrock Resort Hotel in Banff!